MSC Cruises continues its expansion with the order of a fifth Meraviglia class cruise ship with the STX France shipyard in Saint-Nazaire. The announcement was made at the first steel cutting ceremony for the fourth Meraviglia class vessel which is named MSC Virtuosa. There’s no other cruise line growing as fast as MSC and now another Meragilia class ship is on order with the STX France shipyard. The future mega ship will be delivered in 2023 and will be equipt with a new generation of dual-fuel engines designed to run on liquefied natural gas (LNG). The vessel will also feature an advanced wastewater treatment system to make sure regulatory standards are followed. The Float-out of MSC Bellissima. This is the first time three cruise ships from the same cruise line are under simultaneous construction at the STX shipyard. The fifth ship in the class will be an identical design to MSC Meraviglia which only entered service in 2017. 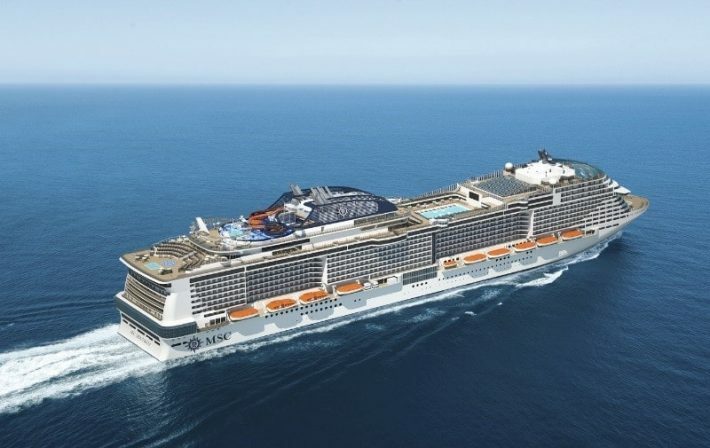 In March 2019 the second in the class named MSC Bellisima will be delivered and in November 2019 the first of the Meraviglia-Plus class ships named MSC Grandiosa will arrive. In total the cruise line has nine mega ships being constructed or on order and that’s not including the announced fifth Meraviglia class. MSC Seaview which is the second in its class was also recently christened in Genoa and will soon begin service. The Meraviglia Class ships are 171,500 gross tons and with a guest capacity of 4,500. Cruise Hive will let readers know when MSC unveils the ship name, features, and itineraries along with all the latest updates of all the new cruise ships on the way.